Adaptive clothes can be every bit as haute and hot as styles you'd find on designer runways, as the third annual Design for Disability fashion show recently proved. Held by the Cerebral Palsy Foundation (CPF) in New York City, the event showcased innovations in fit, closures and form. 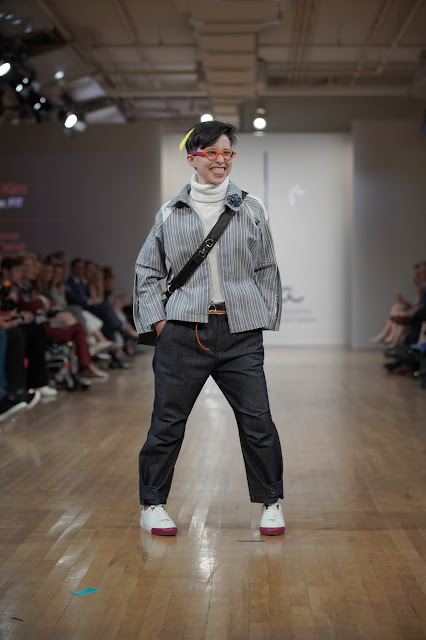 The designers: students from the Fashion Institute of Technology (F.I.T. ), Pratt Institute and Parsons The New School for Design, who got feedback from CPF and mentorship from Anna Sui. The fashions were as functional as they were cool. 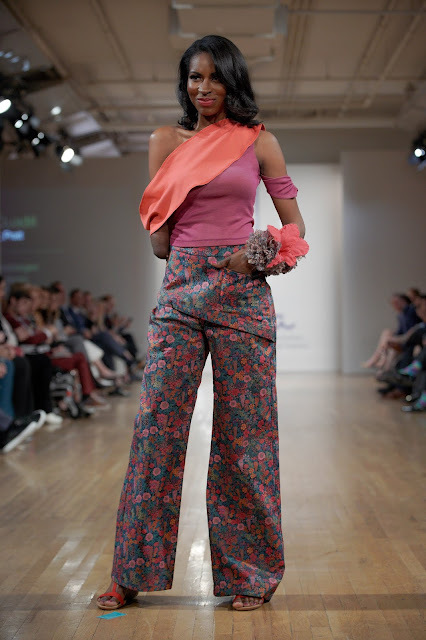 "It literally put me in the women's shoes to be designing and making this clothing that would be more accommodating but still beautiful,"says Maria Terracina of Pratt, who created the above super-chic jumpsuit. 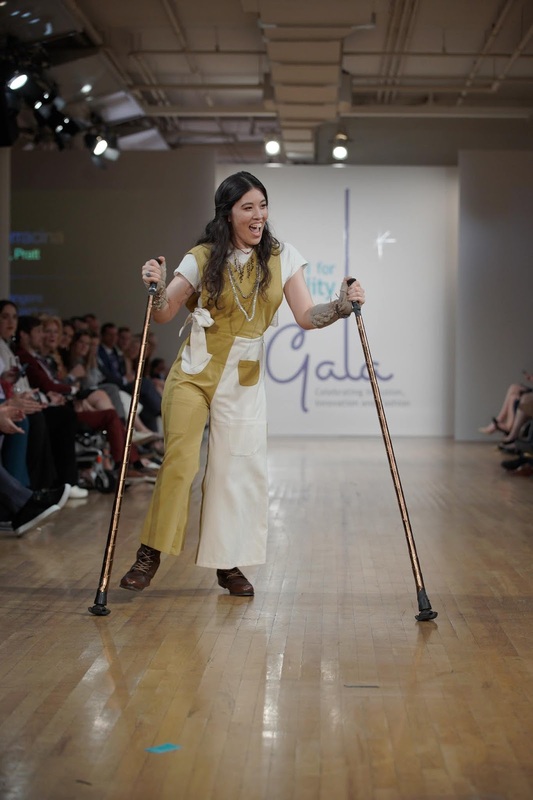 It's modeled by Xian Horn, a woman with cerebral palsy who's a teacher, speaker, beauty advocate and blogger. "Made out of the Liberty of London fabric, the jumpsuit takes away excess fabric so seated body types don’t struggle with the extra fabric in the back," explains Maria. "It has various options for closures, and a ribbon pull for easier access for people who are unable to grasp the small zipper. The magnets at the bottom and the two-way zip are in place to accommodate anyone with prosthetic legs or leg braces." Designer: Richard Jimenez, a junior at F.I.T. Spandex pants allow for ease of movement around the knee area when shifting from a standing to seated position; pockets over the hip line make for comfy storage of—and easy access to—phones and keys. 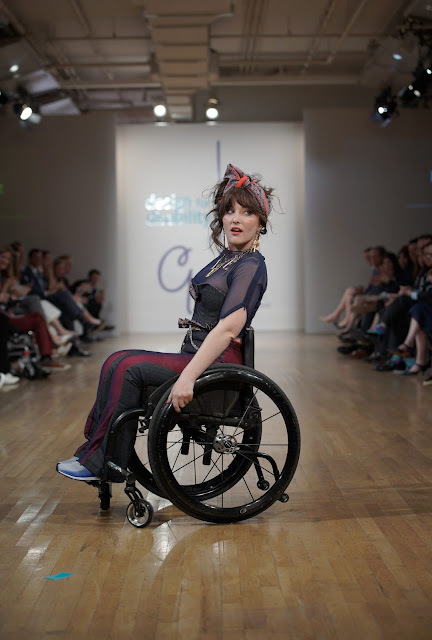 "It's tough to admit, but it's often hard for people to see past disability," says Jessy. "There are so many misconceptions and misperceptions. 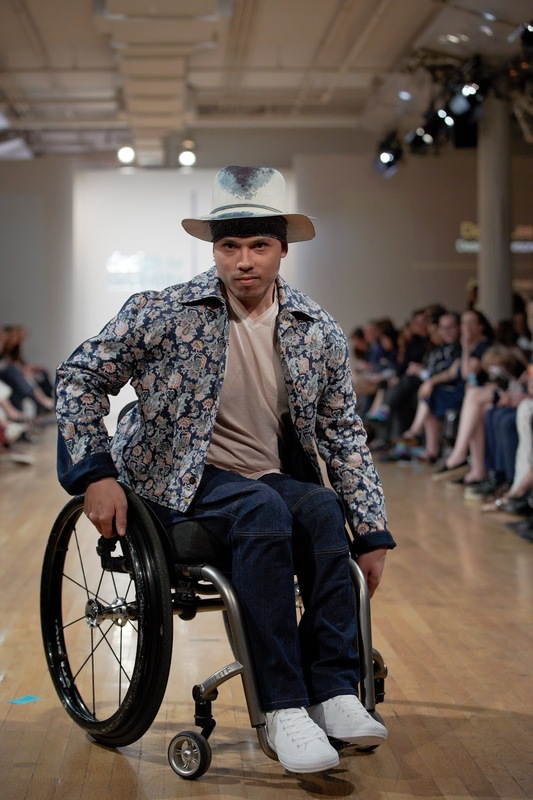 What better way to change this than by creating fashion that helps us to see it all differently?" These high-waisted pants have a wrap-around flap across the top to do up pants with ease. This reversible jacket, with a paisley pattern on one side and denim on the other, buttons up in the front over the waist area—so it avoids bunching up or getting caught in the wheels. Model: AA Brenner, a playwright, dramaturg and Native New Yorker. Designer: Kevin Kim, a junior at F.I.T. A jacket with stretch panels inserted across the shoulders for greater flexibility.